Spiced tuna and potato tots, 3 main ingredients, 3 spices and an unconventional tool. Nothing more for these tasty bites, complete and good for any meal. 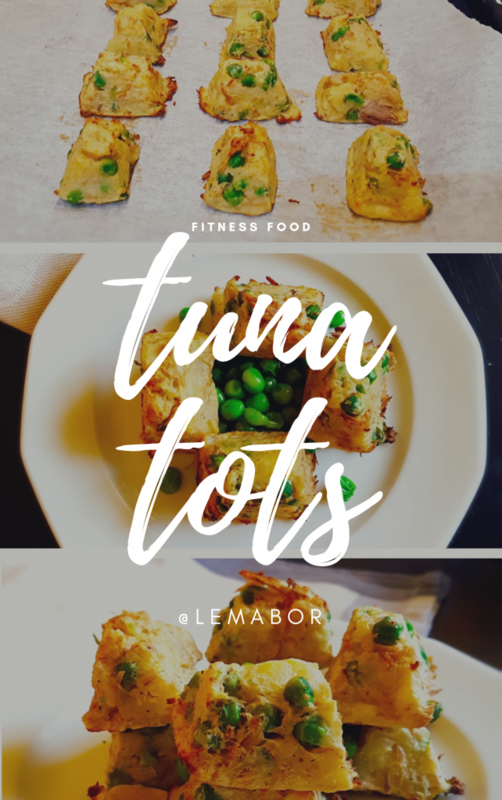 How much does this tuna fish tot recipe cost **? empty…and by empty I mean absolutely nothing. I struggled with what I could find in the pantry wishing there were more to choose from. There was canned tuna and potato, so I made a tuna and potato recipe. However, when you don’t have much you need to get creative and that’s where ideas come from. When you have to push yourself just that little bit further. When you don’t settle with that ready-to-eat frozen, stuff. In the end, it doesn’t take that much to sort out a balanced meal, even when you don’t have time to stop by the supermarket or you’re down on money. Believe me, unfortunately, it happens more often than you might think. In my kitchen, if there’s one certainty, it’s that we don’t run out of potatoes or sweet potatoes even more. At least we have something to eat 😀 hahaha! First of all, I like them a lot, even boiled and seasoned with a little oil and salt, plus they are inexpensive and last, but not least, they are my dog’s primary source of carbohydrates. So there’s always some lying around and they’re ready to use. You can also easily use sweet potatoes, now I can find them almost everywhere. white potatoes even at a nutritional level. I’m experimenting a new fitness recipe with potatoes, but I’m still in its first stage, it’s just a sketch on paper. Before posting I usually do several tests. I hope to be able to publish the final version soon. Here’s just a hint: what if I say cod and potatoes? what’s the first idea that pops up? Stay tuned it’s worth it;) . Update.Here it is:Potato wrapped cod. 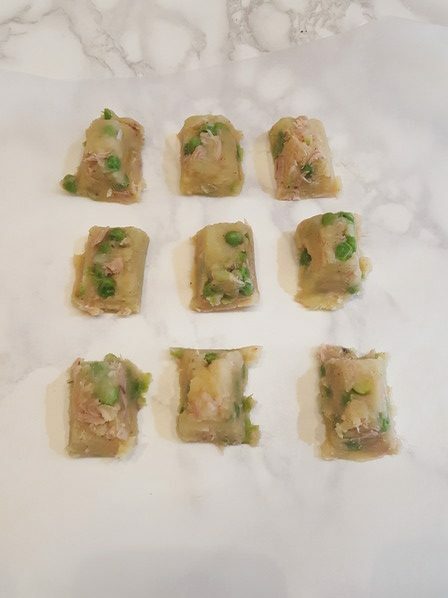 To make this dish, I spent a total of €2.60 for 1 serving. For the doses and the costs just double it because I did it in single portions. everything clean and fast … that never gets old in the kitchen. 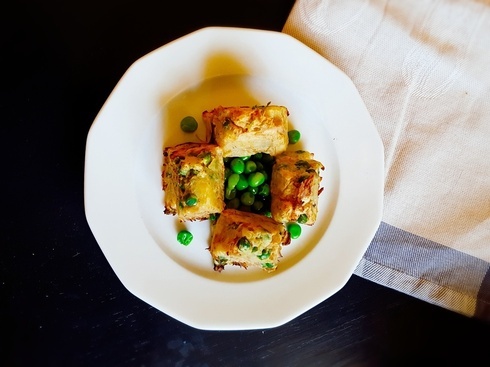 Lately, I’ve been making a lot of baked tots recipes, I love them and this tool is amazing. freezer for about ten minutes, so it becomes easier to pop the squares out . 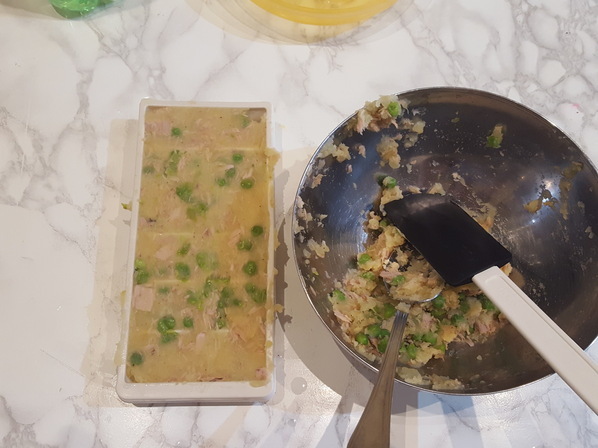 2.Squeeze the tuna with a fork and add it to the potatoes along with the peas. Mix everything evenly and add salt and spices. 4.Line a baking tray with baking paper . lightly tapping the edge to extract the tots. 5.Bake at 200 ° C for 20 minutes. 6.Finally garnish with peas and a tablespoon of extra virgin olive oil. 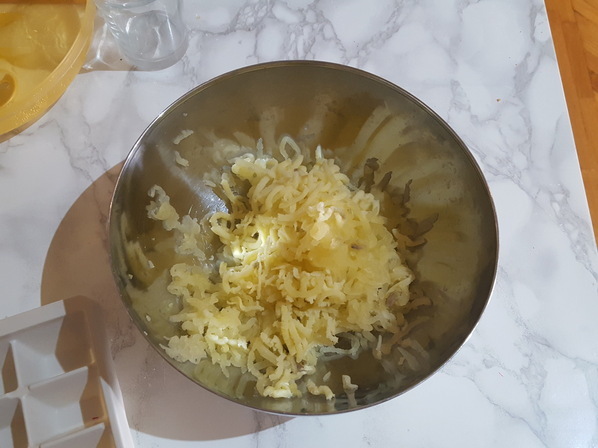 Boil the potatoes and mash them with a potato masher and place them in a bowl. 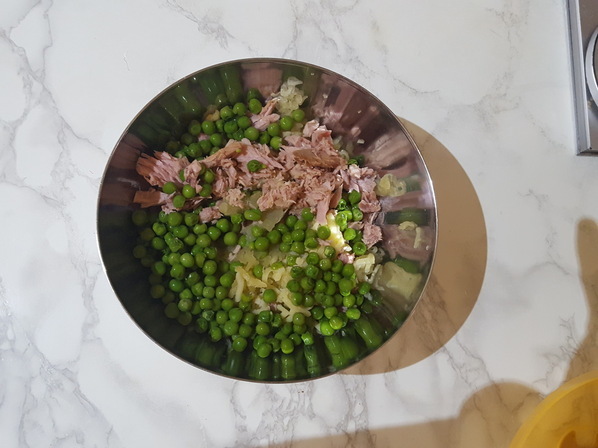 Squeeze the tuna with a fork and add it to the potatoes along with the peas. Dampen the ice tray with water, fill it up with the mixture, and level the surface. Put it in the freezer for 10 minutes to allow sufficient time to take the right shape. 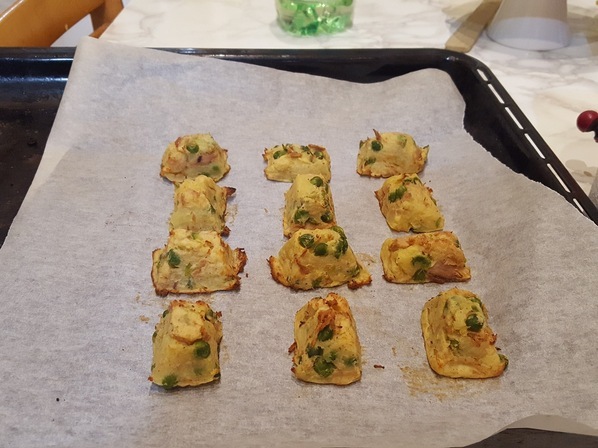 Remove the ice tray and pop the squares out on the baking paper, lightly tapping the edge to extract the tots. Bake at 200 ° C for 20 minutes. Finally garnish with peas and a tablespoon of extra virgin olive oil.